Is your small business a participant in the HUBZone Program, or thinking about applying for certification? The HUBZone Program can be an important source of contracting opportunities, but comes with a unique series of confusing compliance requirements, as well as the risk of program audits, HUBZone protests, and decertification. If you need a HUBZone attorney, Koprince Law LLC can help you understand and meet the HUBZone Program’s rules–or protest an award to a competitor who is not compliant. For most companies, to be certified for participation in the HUBZone Program, you must demonstrate (among other things) that at least 35% of your employees reside in HUBZones and that your principal office is located in a HUBZone. But who counts as an “employee?” Which of your offices is your “principal office?” (hint: it is not necessarily your headquarters). If you are considering applying to the HUBZone Program, Koprince Law’s HUBZone attorneys can help you understand what information you need to collect and assist you in putting together a thorough and well-supported HUBZone application and obtain your HUBZone certification. If the SBA believes your company no longer qualifies for the HUBZone Program, it will send you a HUBZone decertification letter, explaining its findings and asking for you to reply. Treat the HUBZone decertification letter seriously, because without a strong and effective response, your small business will lose its HUBZone certification. Just because the SBA has proposed your company for HUBZone decertification does not necessarily mean it’s the end of the line. Drawing on the HUBZone Program’s regulations, Koprince Law’s HUBZone attorneys can help you prepare a strong response to the proposed HUBZone decertification, explaining why your small business is still eligible for participation in the HUBZone Program. An active HUBZone certification does not guarantee that a company is currently eligible. If you lose a HUBZone set-aside contract to a company you believe does not meet the HUBZone Program’s requirements, you may be able to file a HUBZone status protest with the U.S. Small Business Administration. Win the HUBZone protest, and your competitor will be disqualified–hopefully, resulting in an award to your small business. 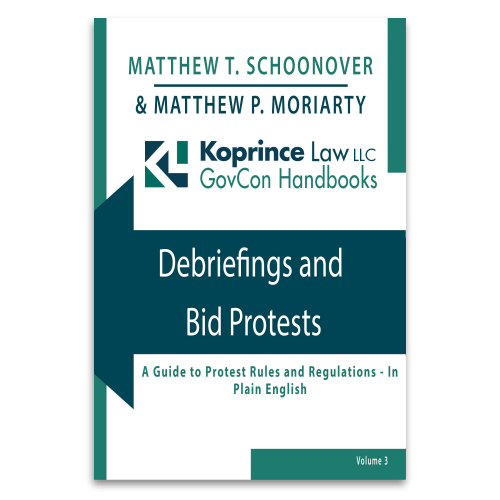 Koprince Law’s HUBZone attorneys can help you put together a comprehensive HUBZone protest, challenging your competitor’s status as an eligible HUBZone small business, and potentially giving you another shot at the contract. If a competitor files a HUBZone status protest against you, treat it with the seriousness if deserves. After all, if you lose, you’ll not only lose the HUBZone set-aside contract you just won, but may be proposed for decertification from the HUBZone Program. When your HUBZone status is under attack, Koprince Law’s HUBZone attorneys can help. 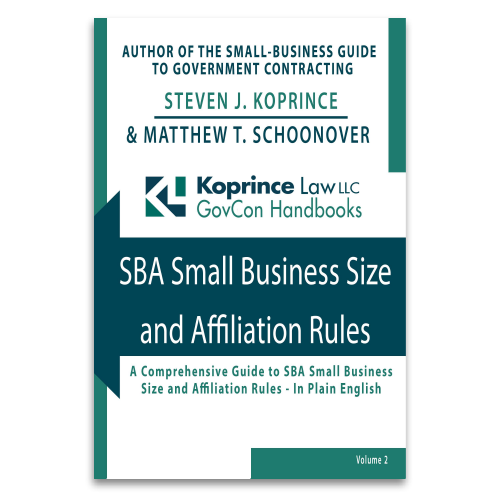 In addition to guidance on what documents to submit to the SBA, Koprince Law draws on the HUBZone Program’s regulations to provide the government with a strong legal response defending your HUBZone status–and your contract award. Not sure if your HUBZone small business is currently in compliance? You are not alone. Due to the confusion and complexities surrounding the HUBZone Program’s unique requirements–especially the 35% employee residency rule–many HUBZone participants are uncertain whether they still qualify, leaving them vulnerable to a competitor’s HUBZone protest or a SBA HUBZone decertification decision. Stop wondering whether your small business is HUBZone compliant. Koprince Law’s HUBZone attorneys can perform a thorough internal audit of your current HUBZone compliance. Koprince Law will review your company’s governing documents, ownership and management structure, and employee residency to help you identify and correct any problems. In addition, we will help you implement a series of “HUBZone Best Practices” to help you maintain and track your HUBZone compliance going forward.